morning at Sand Harbor, Lake Tahoe. 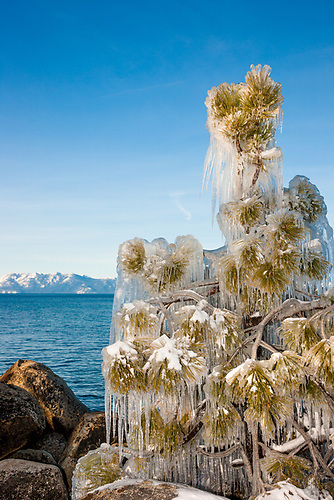 2012 was another great year for viewing beautiful scenery in the Tahoe area. Really, what year isn't? It was also another great year for Scott Shots Photography. I was fortunate to be very busy with commercial work and I was lucky to capture many great photos of the area that I love and call home. 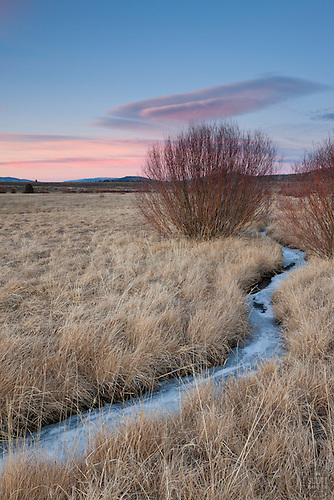 creek was photographed at sunset in Truckee's Martis Valley. 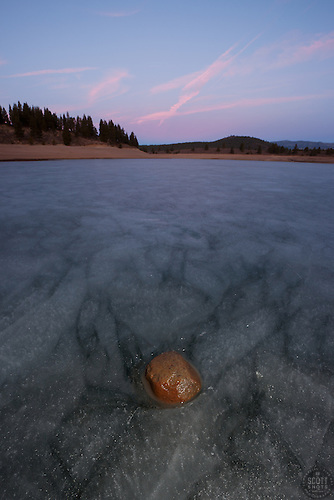 icy frozen Prosser Reservoir in Truckee, CA. I went shooting a bunch this year with my photographer friend Tony Spiker of SpikerPhotography.com. 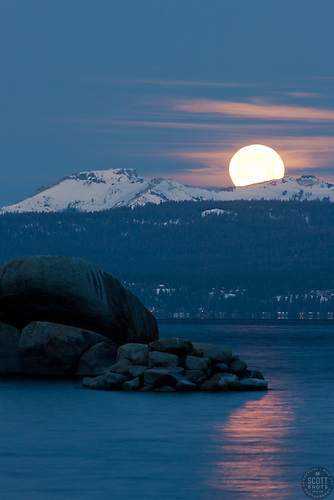 This one below was a full moon setting over Lake Tahoe at sunrise that we shot together from Sand Harbor. He got some great photos as well. in the early morning over Lake Tahoe, Nevada. Donner Lake in Truckee provided some great sunrise and sunset photos for me this year. This one below of boulders in the foreground with a fiery sunset and a silhouette of Donner Summit in the background was my favorite. 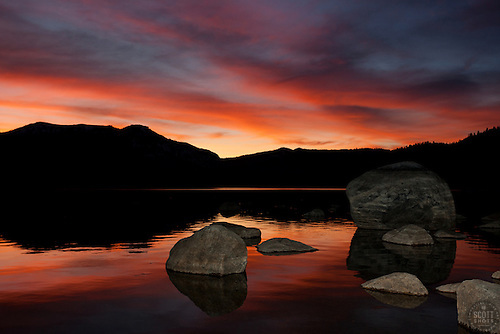 sunset on the South shore of Donner Lake in Truckee, California. 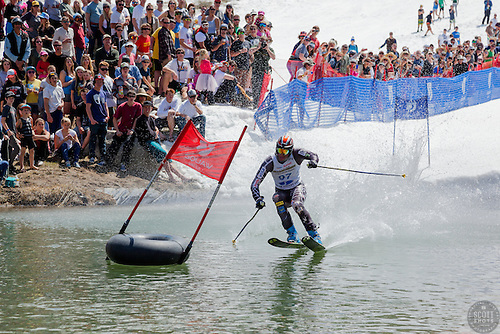 of a skier crossing a pond during the Cushing Classic at Squaw Valley, USA. I also had a ton of fun this summer backpacking in Tahoe's Desolation Wilderness with my son and friends and then again with Tony Spiker. I traveled light on photo gear but still got many incredible images. This one below was my favorite, more can be see here: bit.ly/TYew62 and here: bit.ly/TYeCuw . 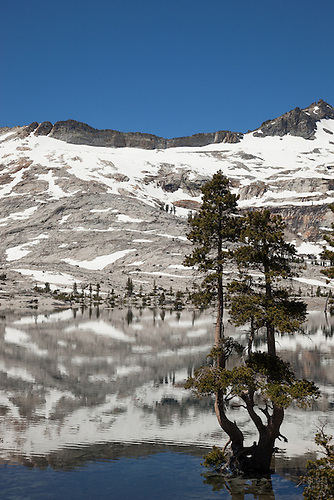 at Lake Aloha in the Tahoe Desolation Wilderness. Race. Photographed from a hot air balloon. 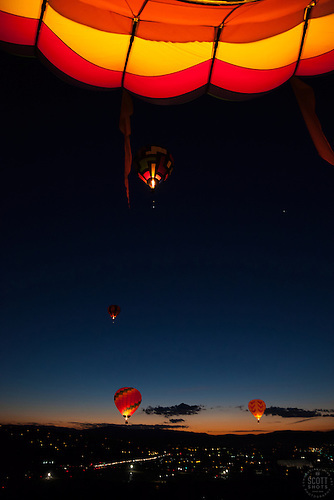 flying for the Dawn Patrol at the 2012 Great Reno Balloon Race. 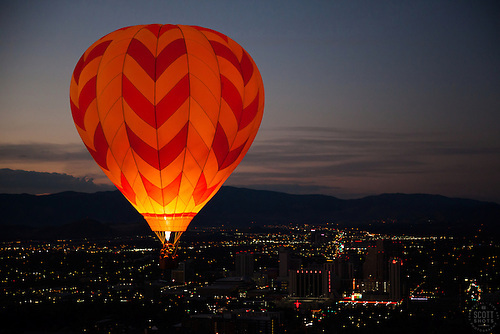 Photographed from a hot air balloon. 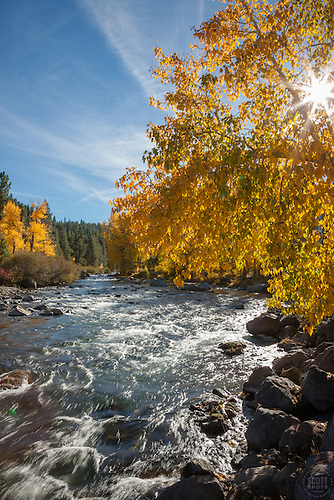 River in Autumn near Downtown Truckee, California. Well, there you have it. I'd love to know what you think about the images I chose. Please feel free to leave a comment below or ask any questions you may have about the photos. Thank you, and cheers to another great year for photography! The photos above are available as fine art prints, photo gift items, or as stock photography. Click on an image for more info and a larger view of the photo.